It's finally here. 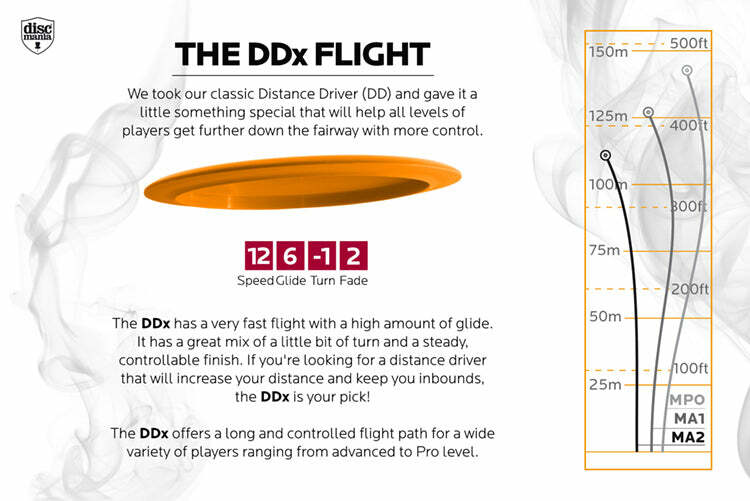 Ever since our CEO Jussi Meresmaa posted some initial pictures of the DDx prototypes, the disc golf scene has been buzzing about the new Discmania 12-speed distance driver. After a rigorous testing process, we finally landed on a prototype we felt was best suited on our line up and now we're finally pushing these babies out to our retailers. 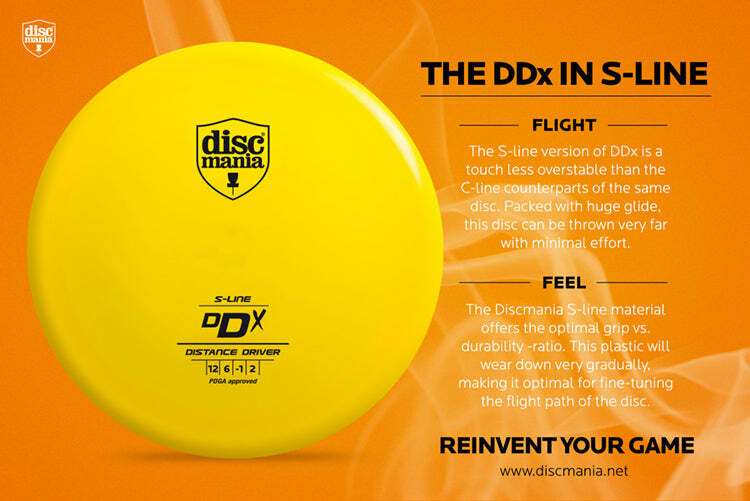 A number of lucky Discmania fans were already able to grab some DDx's last month, as we released the Swirl S-line and Metal Flake C-line versions as fundraisers in support of the Disc Golf World Tour. The demand for the DDx suprised everyone, as both of these releases sold out in less than an hour at the official DGWT retailers, Discmania Store and InnovaStore. Now we're finally pushing out the stock release, so we can get these beauties to the hands of the masses.